From Struggling Jazz Pianist To World Touring Pro"
I had just finished a string of shows opening for legendary musician B.B. King. It was truly a pinnacle moment for me and my journey through music. Feeling that warm wave of applause rush over you after performing for thousands of people is a feeling you’ll never forget. Tears literally came to my eyes as I sat at the piano and looked back at how far I had come. You see, I was definitely not an overnight success. Early on I experienced the same frustrations that so many people experience while trying to learn jazz piano. I desperately wanted to learn the chords that my favorite musicians played. I would hear all these great jazz songs but couldn’t play them the way I wanted to. I couldn’t create jazz piano arrangements that made me sound pro. I knew a couple licks but I had no idea how to actually use them in real music. My jazz theory knowledge was weak. My improvisation was hit or miss at best. I knew some scales but I had no idea how to use them the right way to play jazz. Add on to the fact that I definitely didn’t have access to a bassist and drummer who would patiently sit behind me while I tried to improve. And when I would have the chance to play for people, I never sounded the way I wanted to. After years of frustration I started taking things in my own hands. I transcribed over 1000 recordings from the jazz greats. Finally I began to unlock some major jazz discoveries. As these life changing discoveries began to happen my playing transformed beyond my wildest dreams. I became a first call jazz session guy in Chicago, I started touring nationally, then internationally, and over 5 million people watched my courses. It had become incredibly FUN to play for friends, family, at gigs, and even on stage with legends! And best of all I LOVED how I sounded and the people who heard me play LOVED it too. How did I transform my playing so much? How can you learn how to finally sound GREAT playing jazz piano too? Unlike some of the fairy tale stories you'll hear out there, most pro jazz musicians don't just wake up one day and they're suddenly playing killer jazz piano and playing for thousands of screaming fans. It's not true in the least. There's 99% more to it than just luck. Playing jazz that people LOVE to hear requires specific knowledge and training. Not just any kind of training though. The right kind of training. Hi. My name is Steve Nixon. 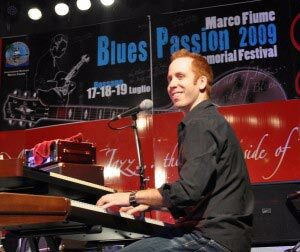 I'm a world touring jazz and blues piano player. Played over 1,800 pro gigs in over 17 countries. Performed with Grammy award winning artists. 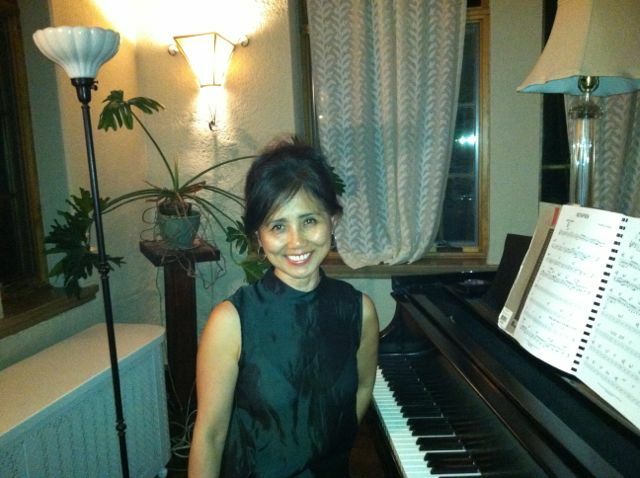 Taught over 14,000 piano lessons. 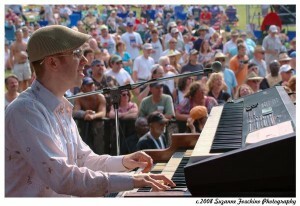 Created the largest jazz piano education website in the world. Over 60,000 students view my courses each month. I've developed a brand new course that shows you exactly how I went from a struggling jazz pianist to a world touring pro. I share all the secrets I learned from transcribing over 1000 recordings. And the best part is I personally guarantee it will work for you. 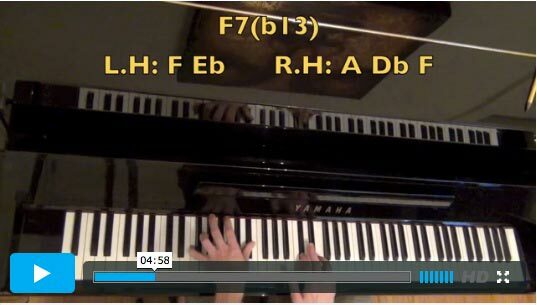 The even better news is you can learn my entire system from the comfort of your home in my new video course..
"The Premium Jazz Lessons Elite Membership Course"
"A Lifetime Of Jazz Piano Secrets With A Click Of A Button"
Gain Instant Access To Over 22 hours of HD quality streaming videos. Play great songs fast! Learn the best jazz standards. Hours of killer jazz tunes to explore. 3 full arrangements of every song (beginner, intermediate, advanced). Perfect for players of all levels to build impressive skills. Downloadable notation, MIDI files & chord charts for every song that you can use to shortcut your learning. Music reading not required. On screen text makes learning every note easy. 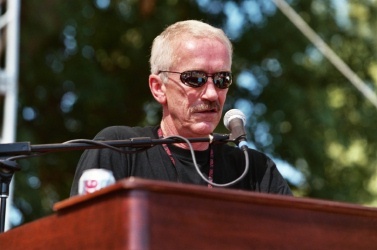 All songs feature legendary chords from artists like Bill Evans, Oscar Peterson, Chick Corea, Herbie Hancock and other greats. Regularly updated with brand new songs so you never run out of fresh songs and ideas to explore. Learn the most beautiful chords that top pros use to wow their listeners. Build powerful jazz theory skills and shortcuts that help you learn songs 10x faster. Step by step formulas that you can plug in to build a BIG library of great sounding chords. HD Quality crystal clear videos that allow you to watch and master every move I make as if you were standing right next to me. Access to private course questions area so you're being supported 100% of the way. 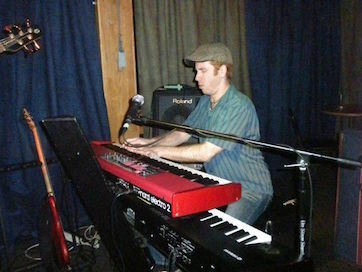 Systematically updated with new powerful chords that I use on my best gigs. 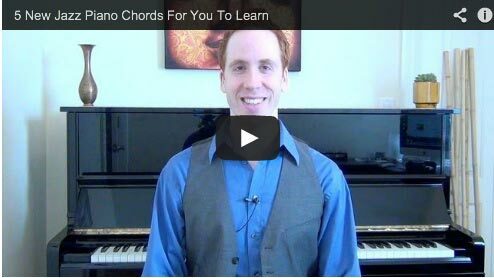 Impress your audiences using the exact pro chords I use. 3. 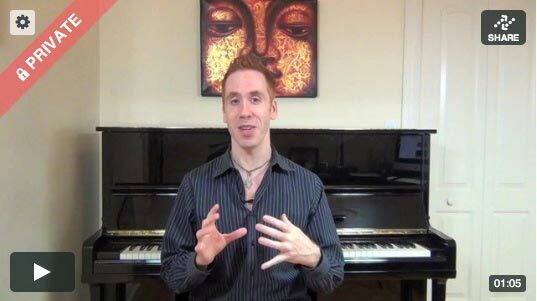 "The Ultimate Jazz Licks Video Library"
Learn essential pieces of jazz vocabulary that every jazz musician needs to know. Learn great sounding jazz licks that you can instantly throw in over 100's of classic jazz tunes. Regularly updated with brand new exercises that you'll use to unlock your creativity & confidence at the keys. Access my private course questions area so you can get feedback and help every step of the way. 4. 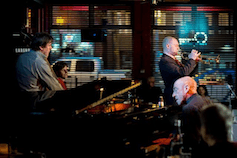 "A to Z Jazz Improv Mastery Method"
Learn how to build breathtaking jazz solos and improvise freely. Access to private course questions area. Updated regularly with brand new drills. Clear method for supercharging your jazz improv skills. 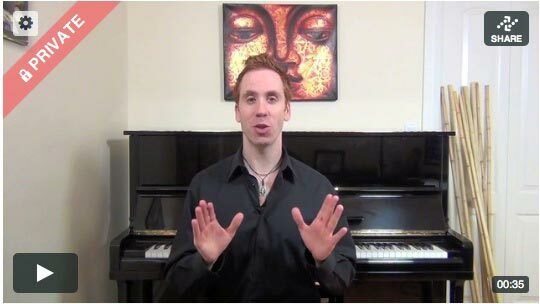 Step by step system shows you how to take great solos at the piano even if you've never improvised before. 5. "Jam With A Band 24 Hours A Day Tracks"
Every song contains pro jam tracks with real bass and drum sounds. Improve your groove and jam with bass and drums 24 hours a day. 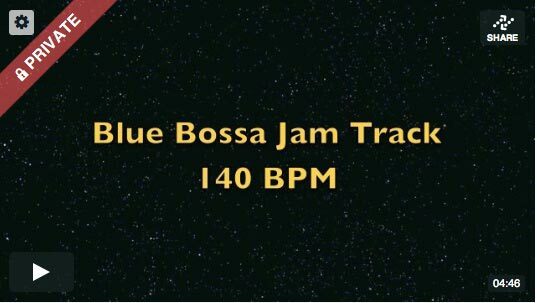 Each song contains jam tracks at 4 different tempos so players of all different skill levels can play along. Feels like you're playing with a real band. Systematically updated with fresh new jam tracks for you to explore and practice with! Experience the incredible feeling of jamming with a real band 24 hours a day. "Playing Music That Sounds Great In A Very Short Period Of Time"
"Steve breaks things down into small, easily learned bits of info that will have you arranging & playing music that sounds great in a very short period of time." In order to make Premium Jazz Membership available to everybody though I’ve decided to price this product at a fraction of that cost. You’re going to be learning my best secrets for playing killer jazz piano all in the comfort of your own home. Additionally, you’ll be able to watch as I break down each concept in depth as many times as you like. 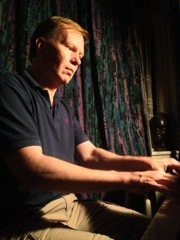 You'll get incredible new jazz piano lessons every month. And you’re only going to pay a fraction of what it would cost to hire me 1 on 1. Membership costs less than $1.30 per day. Your complete satisfaction is 100% important to me! That's why I guarantee you will love the lessons in Premium Membership. If at any time you no longer wish to be a member simply send me an email and say "cancel please". You will never be billed again. That's my "cancel anytime" guarantee. "I have made huge progress in my playing..."
I wanted to thank you personally for all the fantastic lessons you have added to your website. Everything is explained in great detail but easy to understand and you make learning Jazz a fun thing to do with an infectious enthusiasm! I have made huge progress in my playing and I can't wait to go out and play live and put everything I've learned into practice. Looking forward to many more quality lessons! I gave up twice trying to learn how to play jazz piano. The concepts and techniques eluded me until I met Steve Nixon. He removed the mystery from this form of music. He is not only a great player, he is an excellent teacher and motivator that transformed my thoughts and learning ability. He got me here in a very short time with his amazing teaching skills that made me believe that I too can learn. I feel very lucky to have him as my mentor and teacher and I will continue taking lessons from him as long as he is willing to teach me. Can I watch Premium Membership lessons on my tablet or smart phone? Yes! Premium Membership lessons works on all computers, tablets, and smartphones. Of course! You can change your billing plan at any time. No. There are no long-term contracts. Cancel membership at any time. No. There are no setup fees or hidden charges with any of the packages. We accept payment with Visa, MasterCard, American Express, Discover credit cards and Paypal.